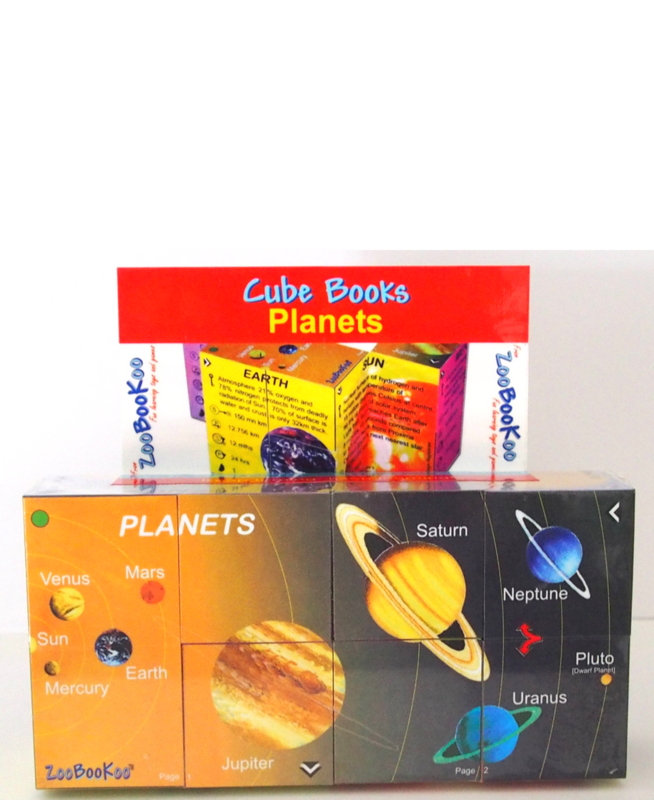 A fantastic informative cube made up of 16 smaller cubes that fold out and back in again displaying different information on planets. 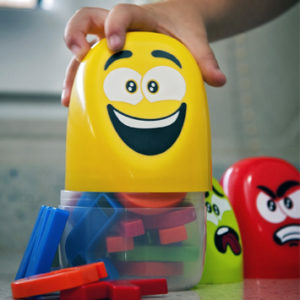 There are many shape forms that are created and no loose parts to worry about! 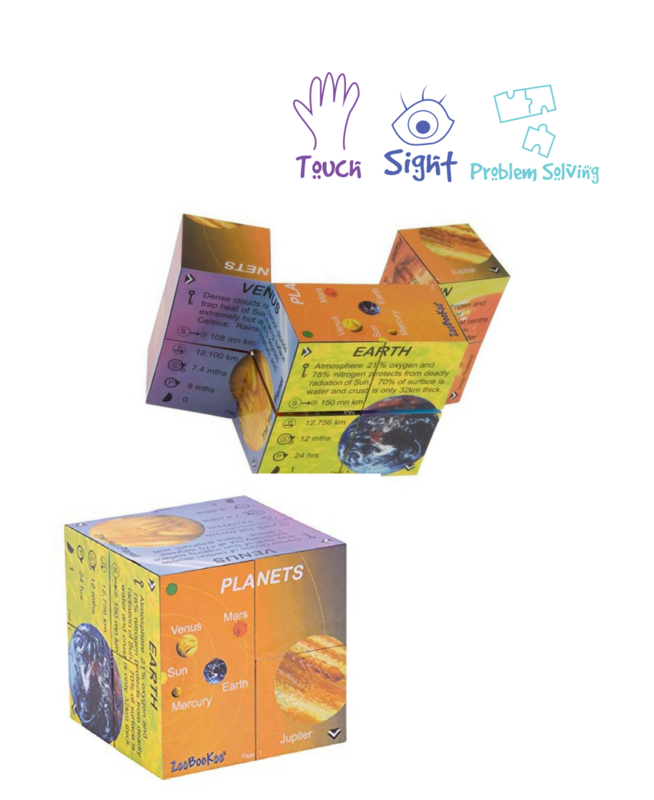 A quiet tactile tool for children who enjoy manipulating firm items in their hands and enjoy solar system images!